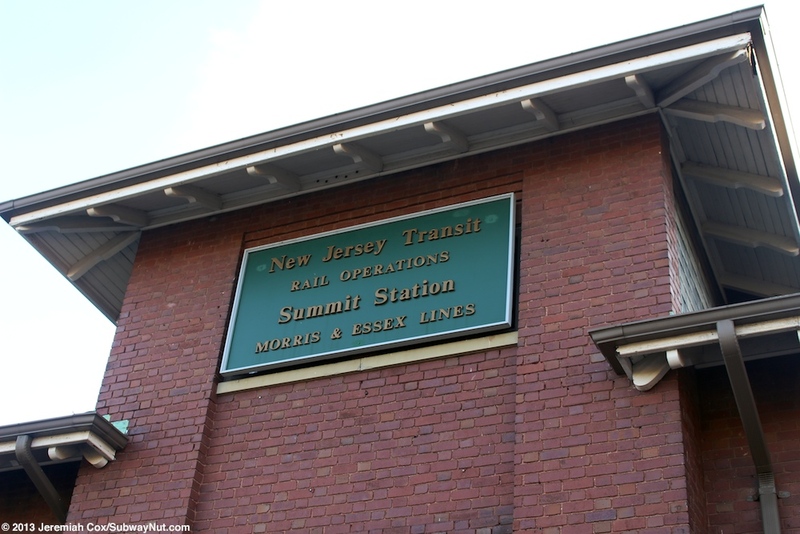 Summit station is the important transfer point on the Morris & Essex Lines where the Gladstone Branch separates from the Morristown Main Line. 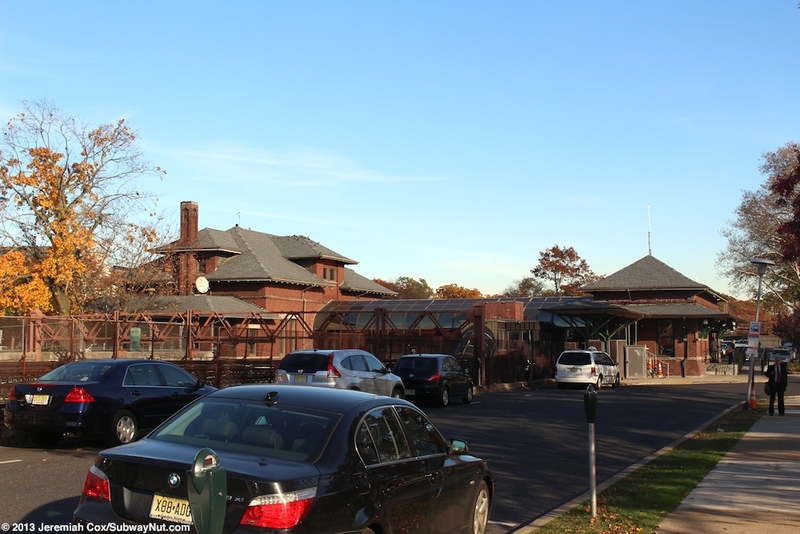 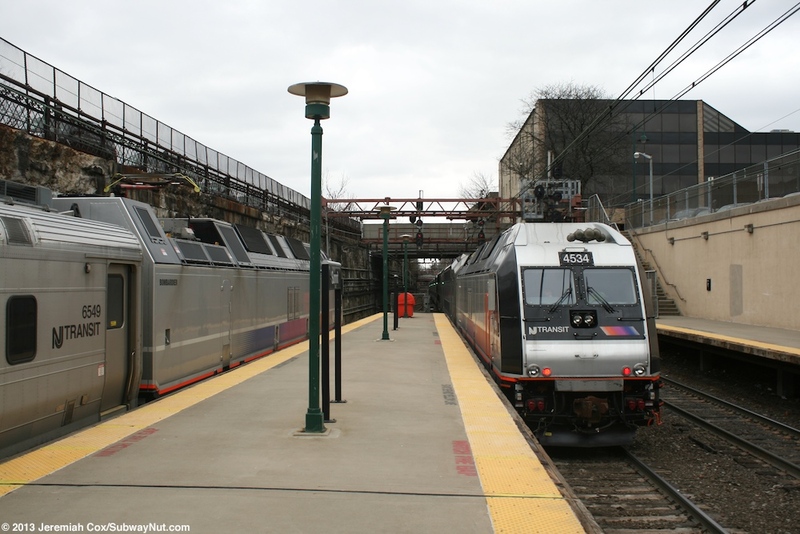 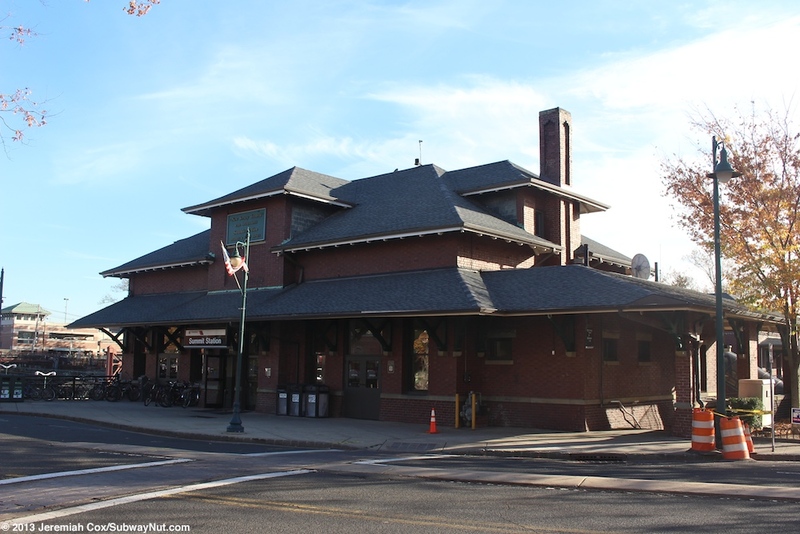 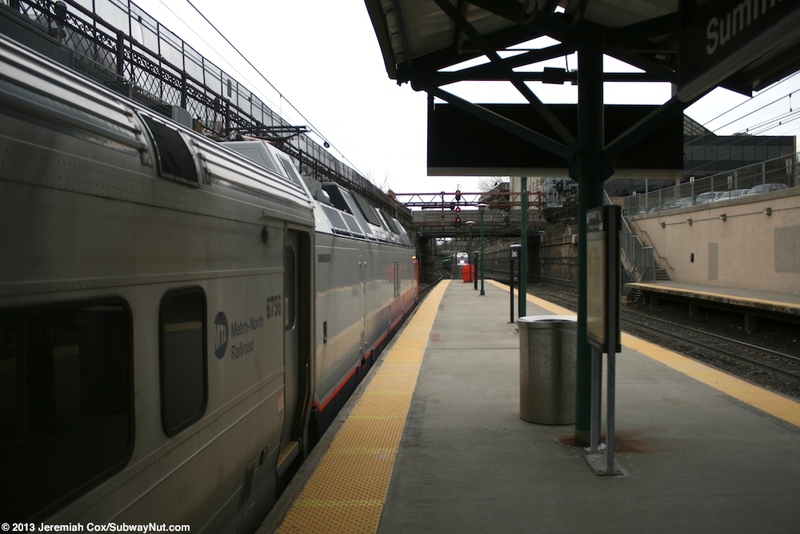 During weekends the Galdstone Branch runs as an hourly shuttle between here, connecting to the just hourly MidTown Direct Morristown Main Line train between Dover and New York-Penn Station, and Gladstone. 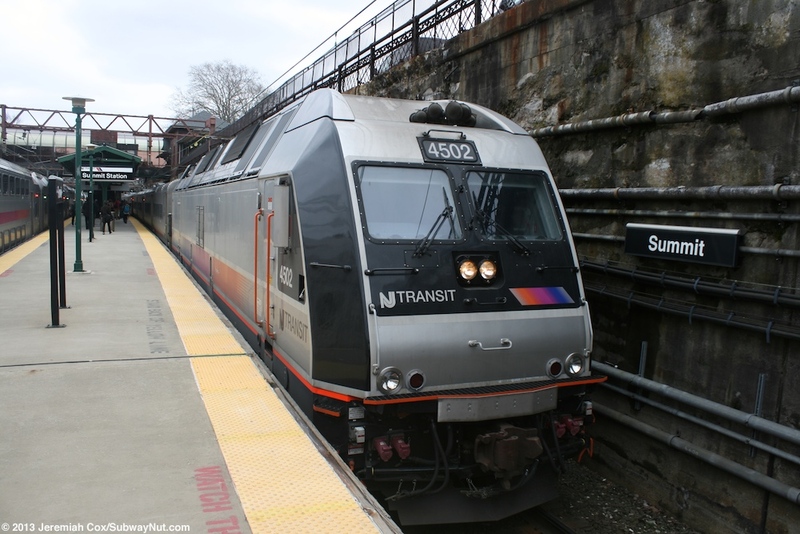 During weekdays, although all trains are through, the station continues acting as a transfer point for intra-Jersey travel from passengers connecting between the Gladstone Branch and Morristown Line as well as passengers switching between Hoboken and Penn Station-bound trains in addition to transfers at Newark-Broad Street (for express runs) Some peak hour service also terminates at Summit and a few rush hour trains do skip the station. 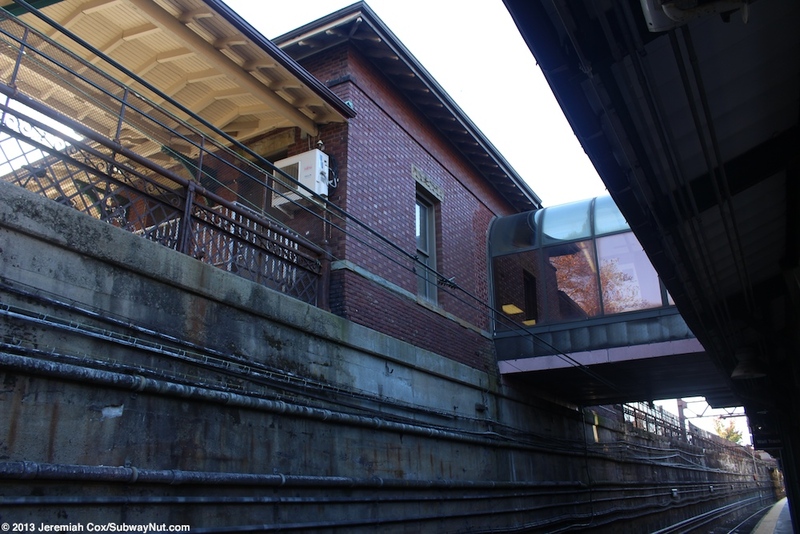 The station itself has three tracks and is located below street level in an open cut with concrete walls that was completed in 1906 to 1907 with the station platforms running almost exactly between the bridges across the cut of Summit Avenue (western end) and Maple Street. 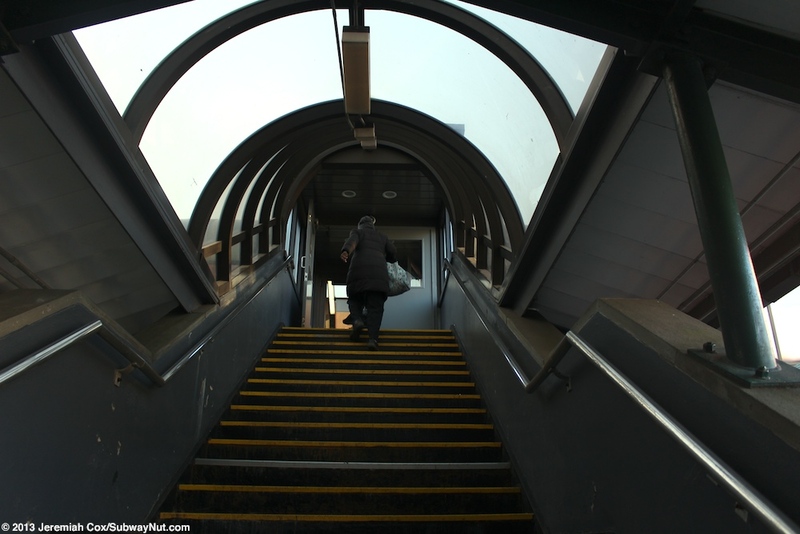 The platforms were renovated at some point (in the early 1980s to 1990s) and are completely high-level. 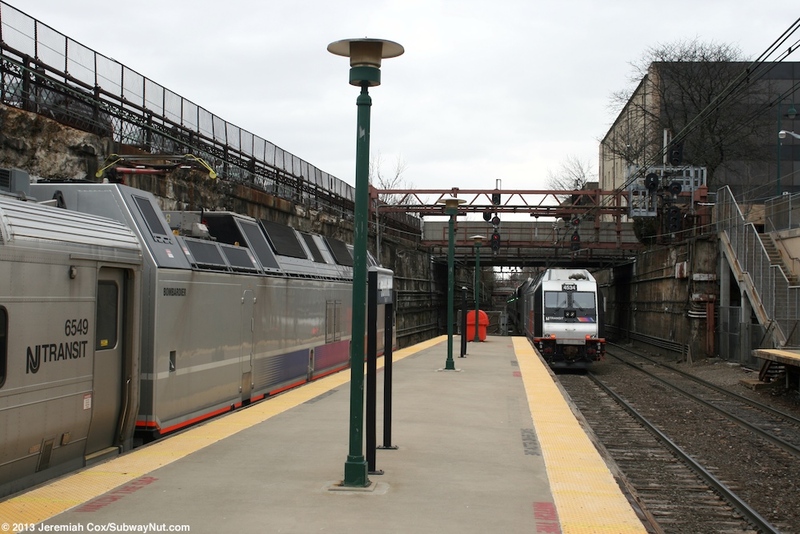 They consist of a single island platform for Track 2 and what is called the Wall Track (its along the wall, and Departure Vision and the NJT Train information voice refer to this track as it) and side platform for Track 1. 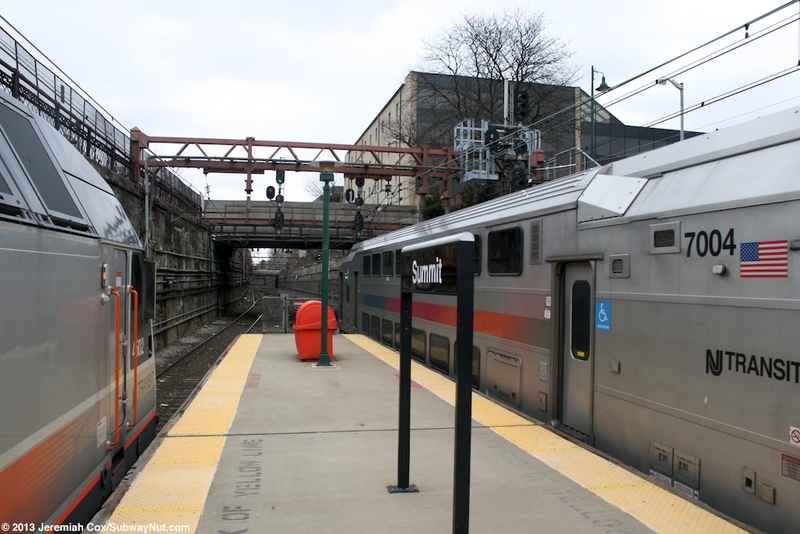 During weekends all Gladstone Branch Shuttle Trains terminate using the Wall Track and the hourly Morristown Line Midtown Direct trains stop on track 2 in both directions to allow cross-platform transfers. 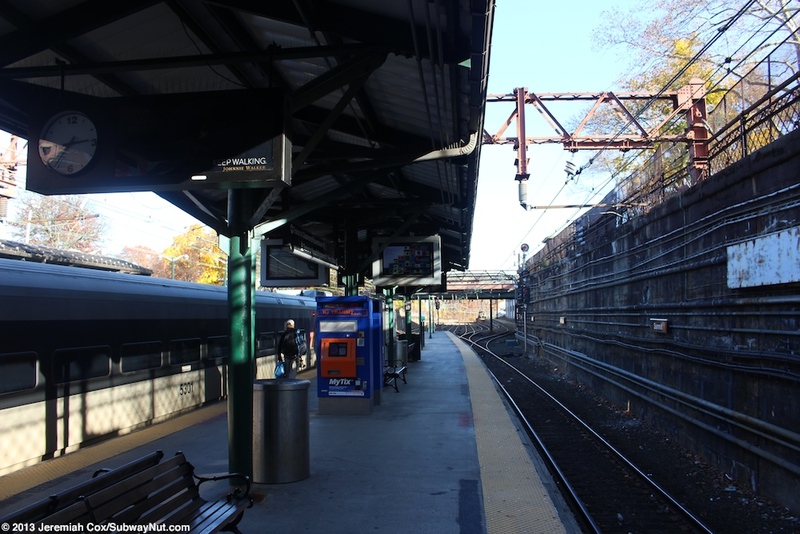 During normal weekday service this platform is used by all Hoboken and Penn Station-bound trains with trains from the Gladstone Branch normally at the Wall Track and Morristown Line trains using the center track 2. 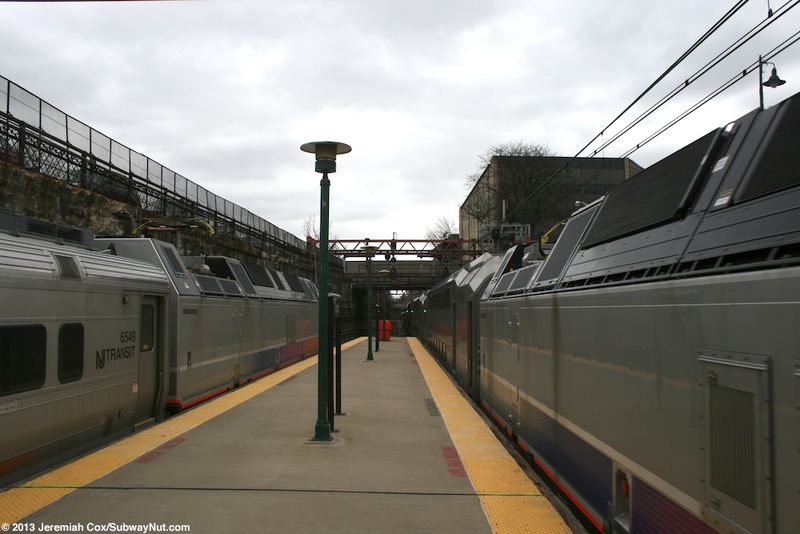 Track 1 is used by all trains to points further west. 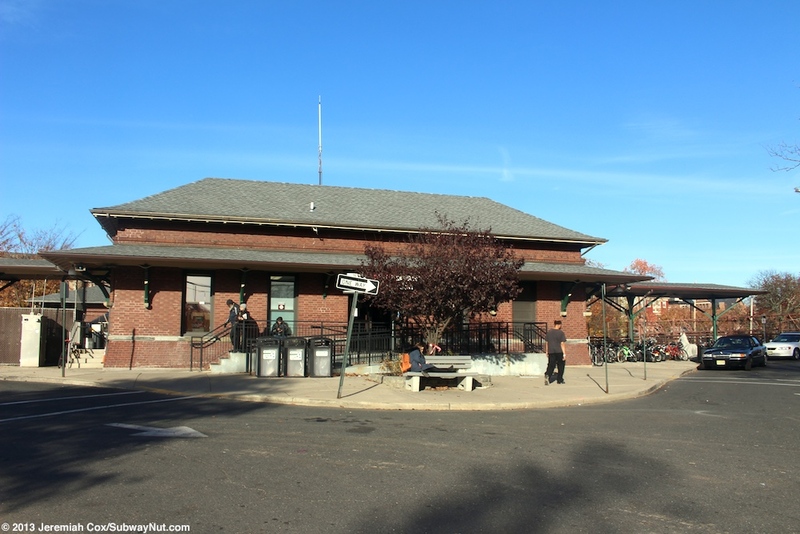 The southern, smaller single story building is still in passenger use (but looks completely modern) with a ticket office open nearly all the time (6:00am to 8:00pm weekdays and 7:00am to 6:30pm on weekends) and a small also normally open convenience store/coffee stop that includes entrances from both inside the station and outside. 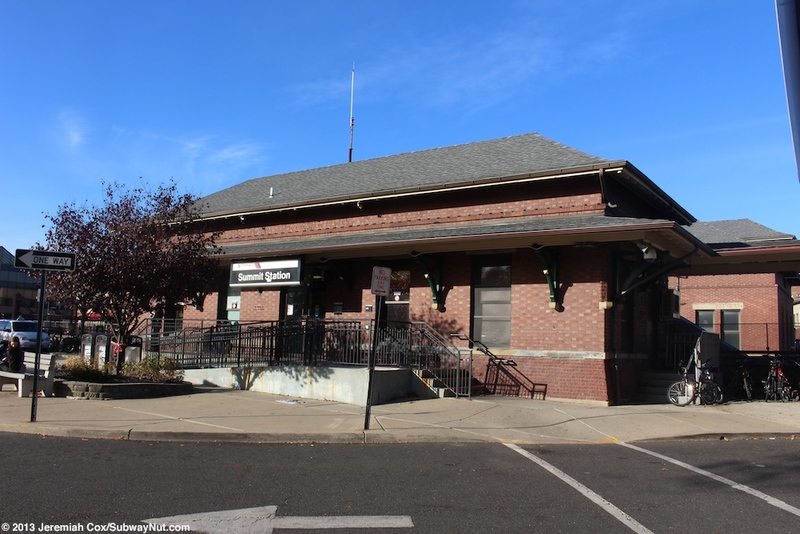 This smaller brick building in the same style as the main one leads out to drop off loop at the foot of Elm Street with Railroad Avenue parallel to the station. 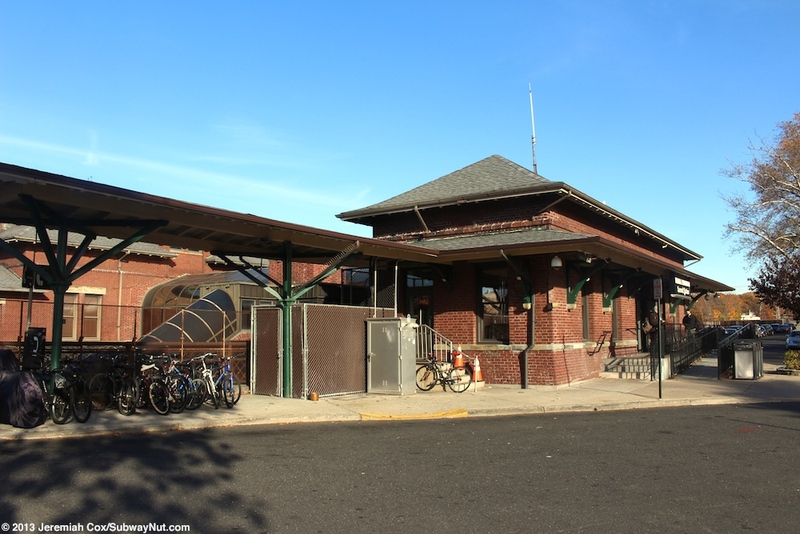 This building also has long canopies extending on either side of it like a platform was once here before the grade separation project that cover a number of bike racks. 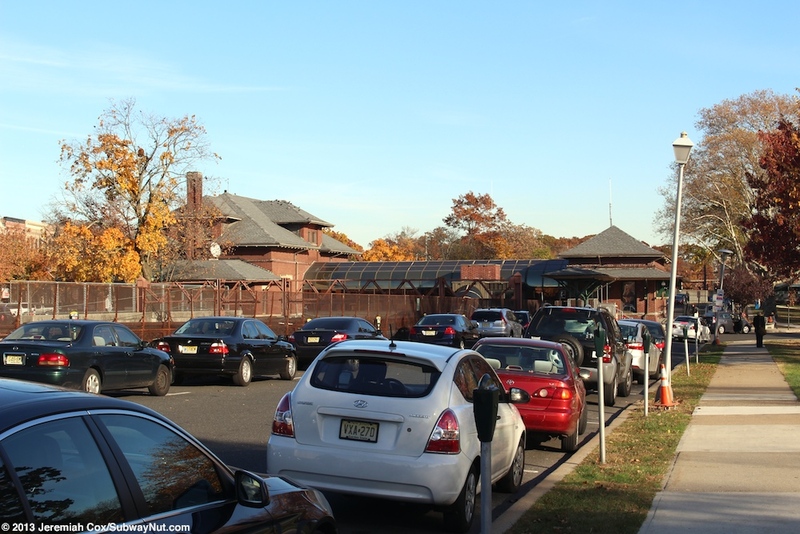 Normally, a line of taxis awaits fares here outside the entrance. 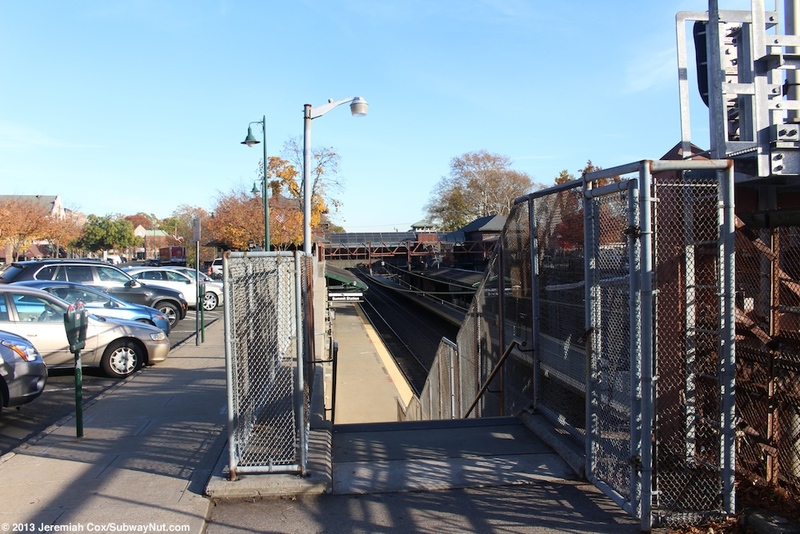 All access to the island platform is from the overpass but the side platform (outbound Gladstone Branch/Morristown Line trains during weekdays) has additional access. 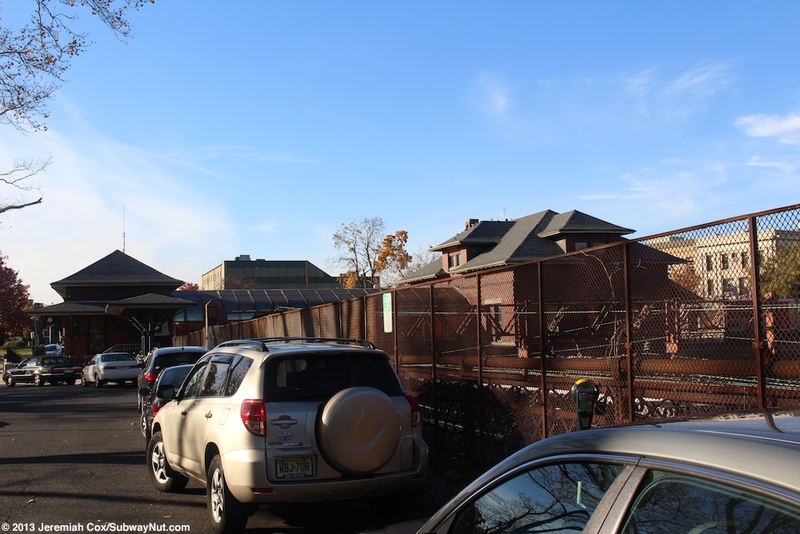 A small 36 space ($10 per day) parking lot along its eastern end at the same level as the platform accessed by a driveway that steeply goes down from the intersection of Summit Avenue and Union Place (that becomes Franklin Place). 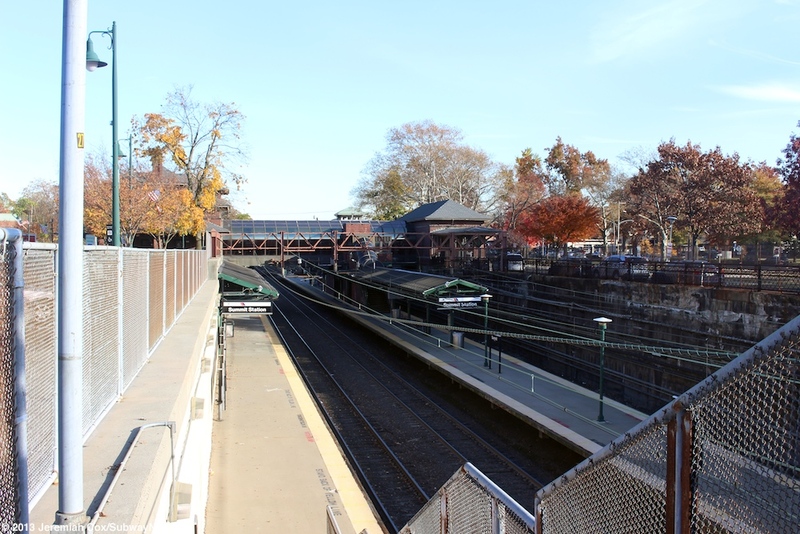 The western end of this platform has the normal concrete wall sides of the open-cut with an additional staircase down from Union Place near Maple Street. 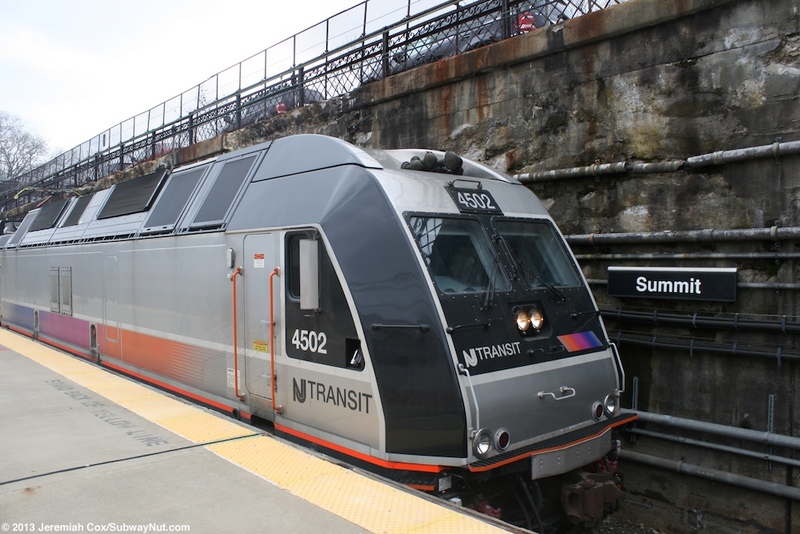 Additional parking is scattered about downtown Summit including a three level 480 space parking garage along the southside of the tracks across Summit Avenue from the station.